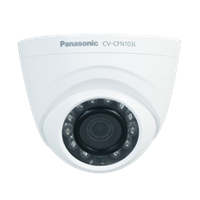 Panasonic CV-CFN103L Kamera CCTVCVI PLASTIK DOME FIXED LENS 3,6MMHD Analog Indoor Day/Night Fixed Dome Camera with IR illuminatorKey FeaturesHigh-performance CMOS image sensor.Support 720p@25fps (PAL)/ 30fps (NTSC)Support 75-3* coaxial cable transmission over 800m.High speed & long distance real-time transmission.Support ICR for day time and night time operation.Support auto exposure, auto white balance, auto electronic shutter and auto gain function.Support DC12V power supply. 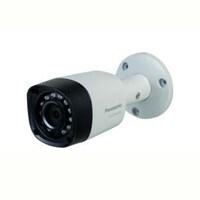 Panasonic CV-CFW103L Kamera CCTVCVI METAL DOME FIXED LENS 3,6MMHD Analog Day/ Night Fixed Dome Camera with IR illuminatorKey FeaturesHigh-performance CMOS image sensor.Support 720p@25fps (PAL)/ 30fps (NTSC)Support 75-3* coaxial cable transmission over 800m.High speed & long distance real-time transmission.Support ICR for day time and night time operation.Support auto exposure, auto white balance, auto electronic shutter and auto gain function.Support DC12V power supply.IP66 compliance. 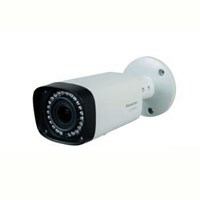 Panasonic CV-CPW103L Kamera CCTVCVI METAL DOME FIXED LENS 3,6MMHD Analog Day/Night Fixed Box Camera with IR illuminatorKey FeaturesHigh-performance CMOS image sensor.Support 720p@25fps (PAL)/ 30fps (NTSC)Support 75-3* coaxial cable transmission over 800m.High speed & long distance real-time transmission.Support ICR for day time and night time operation.Support auto exposure, auto white balance, auto electronic shutter and auto gain function.Support DC12V power supply.IP66 compliance. 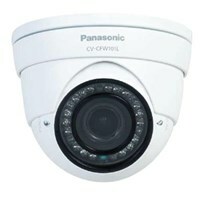 Anda Mencari "Kamera CVI Panasonic"? 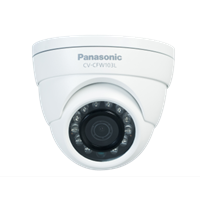 Buat Permintaan Untuk "Kamera CVI Panasonic"
Panasonic CV-CPW101L Kamera CCTVCVI METAL VERIFOCAL OUTDOOR 2,8-12MMHD Analog Day/Night Vari-Focal Box Camera with IR illuminatorKey FeaturesHigh-performance CMOS image sensor.Support 720p@25fps (PAL)/ 30fps (NTSC).Support 75-3* coaxial cable transmission over 800m.High speed & long distance real-time transmission.Support ICR for day time and night time operation.Support auto exposure, auto white balance, auto electronic shutter and auto gain function.High image color rendition, vivid image.Support manual adjustment of lens zoom and focus.Support DC12V power supply.IP66 compliance.